Joyplay makes games for mobile apps, social platforms, PCs, laptops and tablets. It is a force in gaming innovation, pushing forward into augmented reality and immersive experiences. In addition to slots, it makes mahjong, backgammon, tarneeb, poker, roulette, blackjack and other games. A small, privately held company, Joyplay was founded in 2005. Click here to read more. Joyplay specialises in special effects, such as 3D graphics that really give you the sense that the object is right there on screen and you could almost pick it up. It also designs augmented reality games in which a realistic-looking setting has unexpected elements. Once you throw the reality rulebook out of the window, there are all kinds of new gaming experiences to be had. Joyplay is interested in exploring these areas. This naturally leads to virtual reality. We have all seen those VR headsets – future generations will probably have a good laugh at how chunky the current ones are! Joyplay games can work on all major platforms, providing a full VT gaming experience. There are also lightweight ‘hybrid’ versions, which possibly don’t involve wearing a TV on your head! Joyplay has shrewdly concluded that while people love slots, their patience for learning entirely new ways to play them is limited. It sees itself as practising what it calls ‘innovative evolution’, which extends what games can do rather than reinventing them completely. It has a technical platform that can be used to produce games for other companies, allowing these companies to tweak and manage the games’ bonuses and gameplay to their own requirements. Ducky Lucky is a great name for a slot, and the cheeky duck it features is pretty funny! Other well-known titles include Spin Star, Summer Nights, King Rich, Diamonds of Venezia, and Banker’s Millions – the list goes on. Graphics on its titles look very rich – glowing colours are used, and there is lots of glint and gleam to make icons and characters look super-real. The games are completely optimised for mobile to give the same experience and richness as when playing on a desktop. Facebook is obviously keen to encourage users to stay on its site for longer, and one way to do this is to carry immersive entertainment such as slots. Joyplay wanted to get into the social casino world; now, it now has the Joyplay Casino on Facebook with free slots, blackjack and other games. As ever with Facebook, comments from users are mixed. 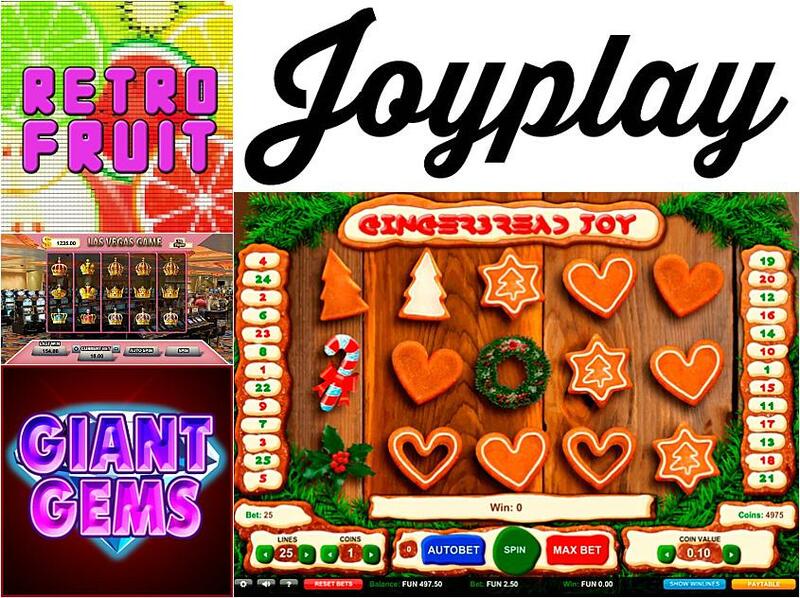 Joyplay is very much a forward-facing company intent on grabbing the opportunities presented by modern technologies and new ways of playing slots. As with all slots, when it comes to attracting players, in the end it comes down to how good the themes, the graphics and the gameplay are. Joyplay is great at all this. In the gaming world, it is a minnow compared to giants such as NetEnt; however, there is always a niche for inventive, leading-edge companies when it comes to slots.